If you often open your wardrobe doors and gaze upon the overstuffed interior with a feeling close to despair, wondering how you will ever motivate yourself to rationalize your collection of clothing and make it more manageable on a day-to-day basis, you are not alone. Many of us form sentimental attachments to our clothing: attachments that make it hard for us to approach the decluttering of our wardrobes in a rational manner. However, by following our step-by-guide, you can finally rid yourself of clothes that really are surplus to your requirements; reduce your collection to more manageable proportions and maybe even start to add a few new special garments once you have the space to do so. 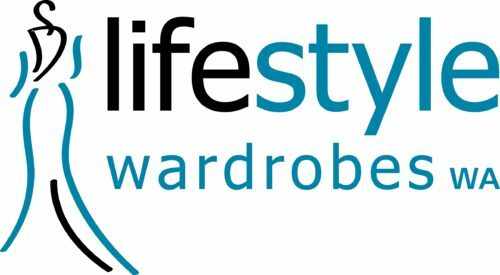 As purveyors of high-quality, custom wardrobes in Perth, we have a great deal of experience in this area and we are intimately familiar with the practical challenges that organizing a wardrobe presents. Whether you wish to create a modern, capsule wardrobe that makes dressing in the morning a straightforward task or you simply want to reduce your clothing collection by a small percentage, to make it easier to manage, our guide will help you to achieve your goal in 5 painless steps. If you own a number of older garments to which you are particularly attached, please do not worry as there is no need to put them out with the rubbish. However, they really don’t belong with the rest of the clothing in your wardrobe. 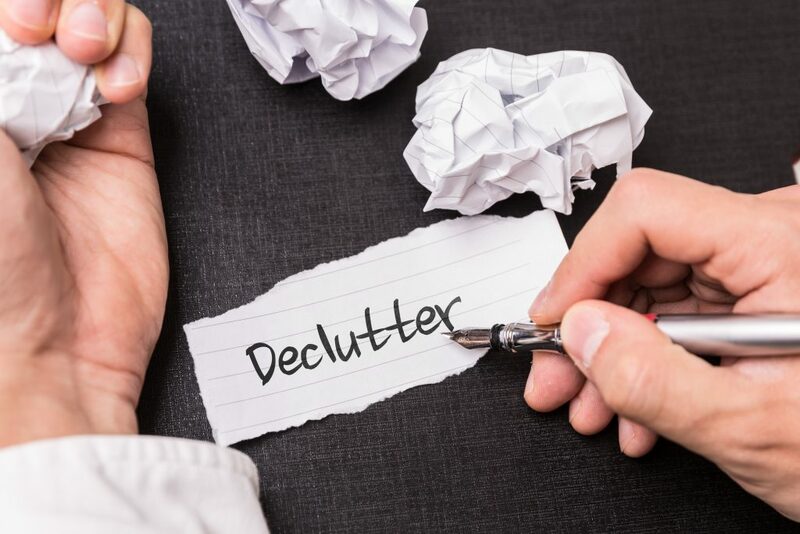 Without further ado, let us dive right in and get started on the task of decluttering. If you find any of these steps unnecessary or unpalatable, you are, of course, free to omit or amend them as you see fit. Our aim in sharing them with you is to make your life easier, not to complicate it by forcing you to do things you do not think are required or are uncomfortable with! Preparation – Before you start culling the herd, you will need to identify those items of clothing that are essential everyday wear, along with those that are either no longer to your tastes, do not fit properly or that you wear so rarely they could feasibly be kept elsewhere. An easy way to do this is to put a label, perhaps a blank post-it note, on the hangar of clothes when you take them out of the wardrobe to wear and after a couple of months, you will quickly be able to identify those clothes that you actually wear on a regular basis and those that you don’t. A word of warning: be aware of seasonal changes when performing this exercise as you don’t want to throw out all your winter clothing just because you tackle this task in the middle of summer! Empty Your Wardrobe – Once you have completed step 1, it is time for some real action. Take all of the clothes out of your wardrobe and lay them on your bed. As you are doing this, sort them into categories: skirts, dresses, pants/trousers, jackets etcetera and sort each category into separate colours. By doing so, you will easily be able to spot duplicate garments: perhaps you have five or six red skirts where only two or three would suffice, or a small collection of yellow scarves that you have put together unintentionally over the years. Select Your Favourites from the Duplicates – Before you begin step 3, make sure you have a number of cardboard boxes or plastic bin bags to hand. What you are now going to do is to examine each pile of duplicate garments closely, select your favourite 2 or 3 items from each one and place the remainder into one of the boxes or bags. During this stage, you can also separate any garments that are especially precious to you, but rarely worn, and put these into a spare suitcase or special box. Take your time and don’t be afraid to change your mind if, after separating the unwanted duplicates from the herd, you feel the desire to do so. The object of this exercise is to pare your collection of clothing down to just those items that you can use on a regular basis. Sort into Outfits – This penultimate step involves taking the clothes you have decided to keep and sorting them into outfits you can wear in certain environments. For example: you may put together a black pant suit with a grey scarf and class it as a work outfit. Once you have completed this step, you may well find that you have some left over garments that simply do not work well as part of an outfit with any other clothing in your collection. These garments should either be placed with the others you are going to throw out or, if they have a special place in your heart, with the garments that you are planning to keep in a suitcase. While performing this step, you will also be able to identify any glaring holes in your clothing collection that can be corrected with future shopping trips. Finally, a task that you can really enjoy! Refilling Your Wardrobe – The final step is to put the clothes that made it through the filtering process back into your wardrobe. The easiest way to organize your collection is to group similar garments together, so that all your skirts are in one place, all your blouses in another, all your pants are together and all your accessories are in the same place. If you don’t like this idea, you could keep your clothing organized as outfits instead. If you follow the above 5 steps carefully and you find that you still do not have enough space to store regularly worn clothing in a manner that makes everything easily accessible, it may be time to consider investing in a larger wardrobe. We design, supply, and install custom wardrobes in Perth so if you happen to live in the city or nearby, please feel free to call and discuss your requirements with us at any time.